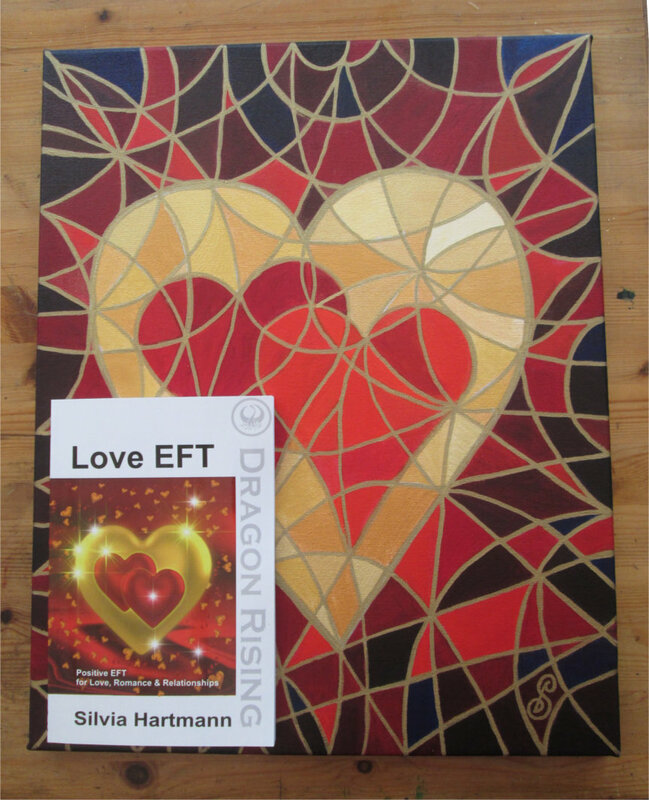 Completed Book Cover of "Love EFT"
May I say just how inordinately joyful I am to be able to write the book and put it in a cover that matches it? You have to own a publishing company for that to be happening, of course, but it was well worth it to start one, just for that. 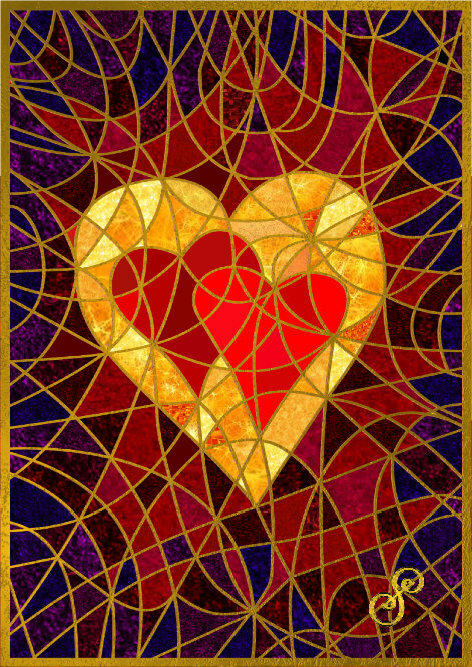 I kept looking at the image, and unusually, decided to make a symbol hybrid of the red and gold hearts design. Normally, it's the other way around - the painting comes first and then something like a book cover will be based on it. 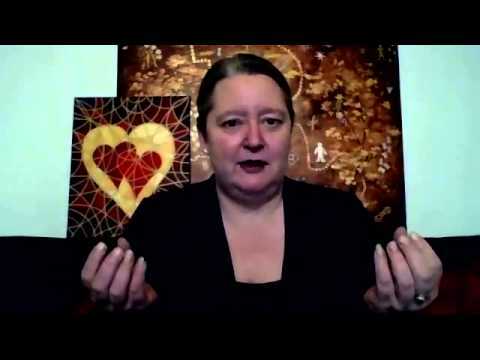 So I set to work and here is the resulting painting - Make Love Your Goal (which is the theme and also the final words from the book). What happened next was rather interesting. 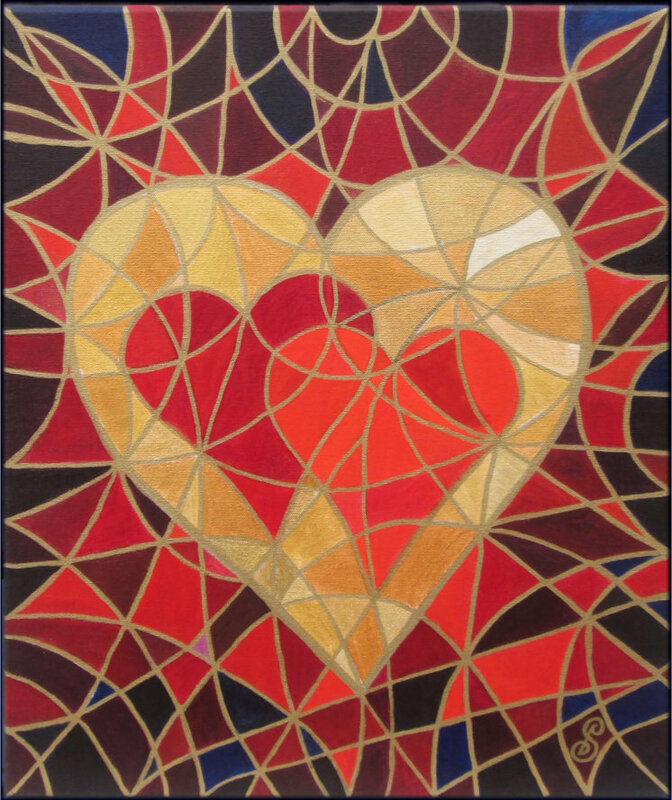 I don't sell the full size original paintings, simply because at this time, I won't get decent money for them (yet). I sell cupcakes and prints of the vector versions at live events, and that's fine for now. This painting, it wanted to be "out there." So it was decided to put it up for public auction on ebay and let it find a new owner. 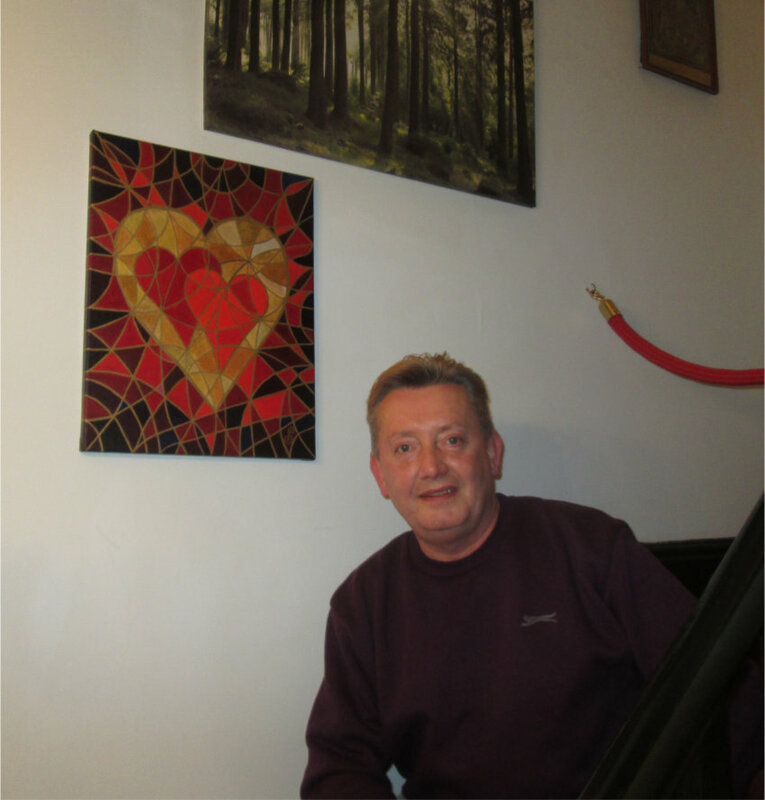 The painting came with a signed 1st Edition copy of "Love EFT." Screenshot from an interview, with Make Love Your Goal still at home in the background. And it sold for £263 to a gentleman from the UK. On the same day the auction ended, it was delivered by courier in a 350 mile round trip to its new home. And here it is at home with its new owner. To get over that, I made the vector version so there can be prints. 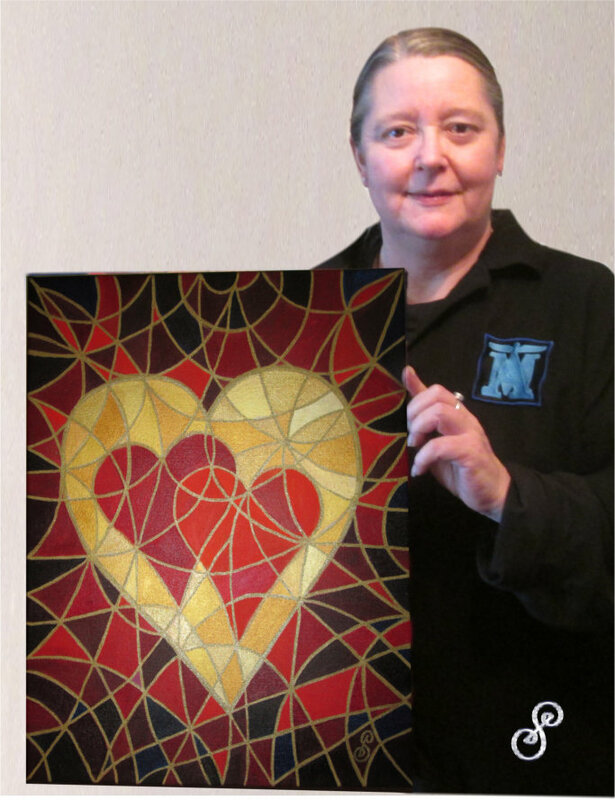 I sold a painting on ebay. 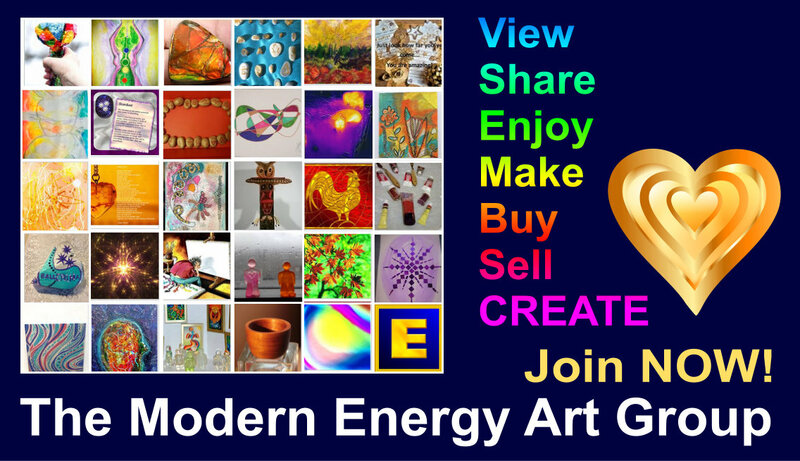 I made a Certificate of Authenticity for it, and that's the story behind "Make Love Your Goal." 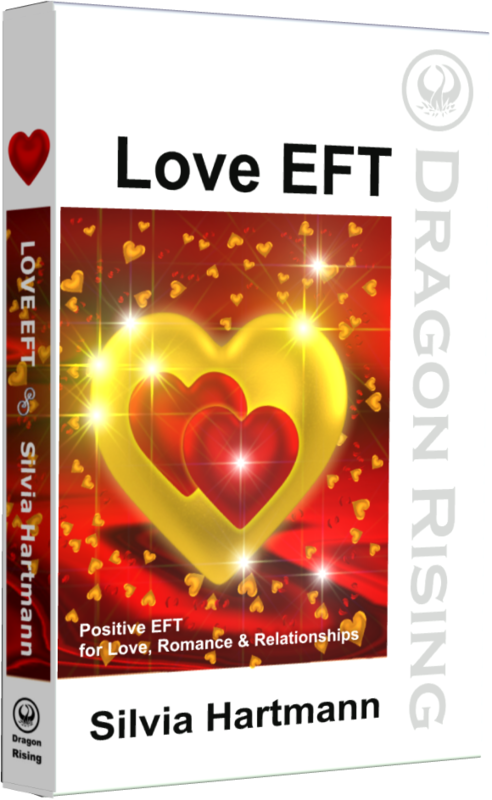 Buy the book "Love EFT" here. 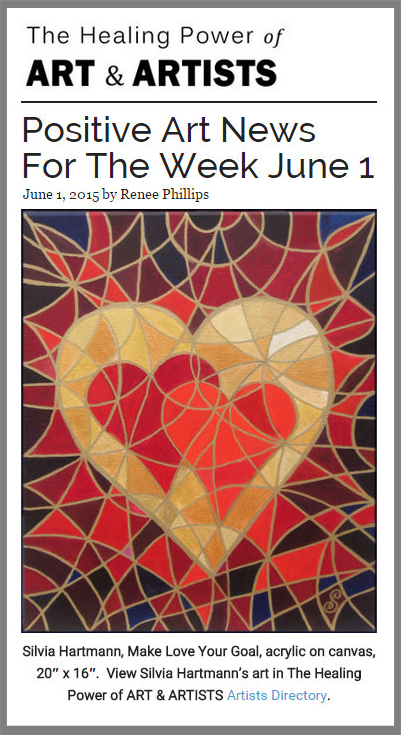 Make Love Your Goal was featured as the title image for June's newsletter, June 2015.